Share your projects with other users! 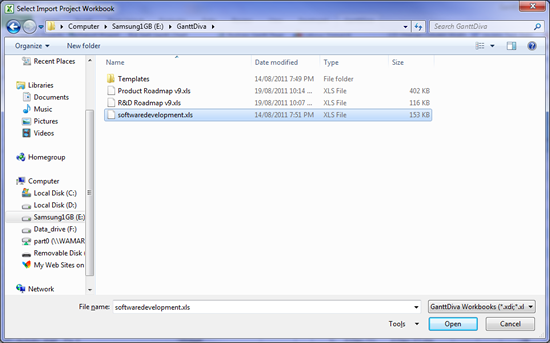 Export either the entire contents of the GanttDiva or a user selectable block of tasks. Exported information can be accessed by any excel user, even if they don’t have GanttDiva installed. Share GanttDiva projects and Gantt chart templates with other GanttDiva users and boost productivity for your planning teams. 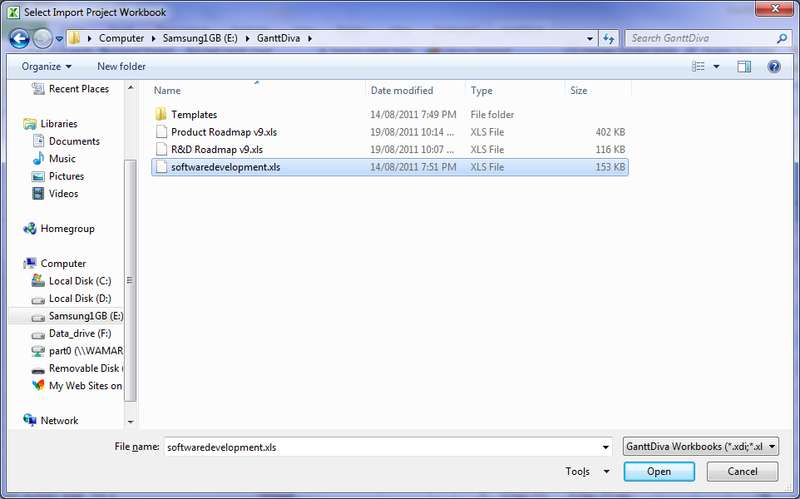 Insert data from another saved GanttDiva project file at any user selectable row within the current GanttDiva project.